Cathcart Group provides professional property management services for apartment communities, multi-use developments, and senior living communities in Virginia and West Virginia. Explore the properties below and then visit our Awards page discover some of their award-winning qualities. Life in The Reserve at Belvedere takes you to your own private sanctuary. 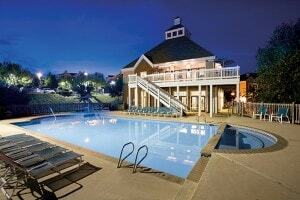 The Reserve at Belvedere is a luxury apartment community in the most sought after areas in Charlottesville. The community is surrounded by wooded acres of natural beauty. It will feature authentic craftsman architecture, quality recreational space and energy efficiency. The Reserve at Belvedere offers abundant community amenities, scenic mountain views and exceptional features designed to enhance your lifestyle. Discover an amenity rich luxury apartment community with one, two and three bedroom homes offering modern elegance. The location of The Reserve at Belvedere provides the perfect blend of places to work and play. We invite you to discover the art of luxury living by experiencing a community nestled in natural surroundings offering the perfect balance of carefree living, comfort, and excitement. The community will feature all the “must haves” on your list. Carriage Hill Apartments offer the spaciousness and privacy of single-family homes with all the recreational amenities you expect in an apartment community. Every person’s needs are different; therefore, Carriage Hill offers a wide variety of apartment layouts from which to choose. Our 140 apartment homes range from 831 sq. ft. to 1,627 sq. ft. and were designed with personal space in mind. Amenities include private entrances, optional one or two-car garages, state-of-the-art kitchens and large walk-in closets. Carriage Hill residents also benefit from the 6,100 sq. ft. clubhouse complete with men’s and women’s spas, whirlpool, dry sauna, and tanning bed. In addition there are pitching and putting greens, multi-purpose courts, game rooms, and a business center. Children will especially enjoy the three tot lots and kiddie pool. 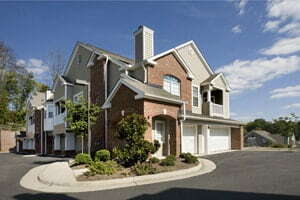 Lakeside offers a winning combination that is unparalleled in Charlottesville’s apartment communities. Lakefront homes nestled in lush woodlands only minutes from historic downtown Charlottesville, the prestigious University of Virginia, and Martha Jefferson Hospital. Our 348 luxury apartment homes range from 754 sq. ft. to 1220 sq. ft. and offer the ultimate in design features. Many homes have sweeping views of the Blue Ridge Mountains. Superior amenities include the 5,687 sq. 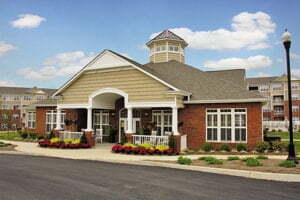 ft. lakefront clubhouse, 1,000 sq. ft. fitness center, 20-seat theater room, billiards, ping pong, foosball, business center, and hot tub. Outdoor activities include a 12-acre lake with 90 ft. pier, white sand beach, fishing, canoeing, paddle boating, dog park, tennis court, volleyball court, basketball court, and walking trail. Live in a stress-free environment created by the efficiency and quick response of Lakeside’s award-winning and professional personnel. Claremont at Carriage Hill Condominiums beautifully blends the past and the future into its architectural details, with multiple gables, bay and arched windows, door transoms and concealed entryways, large, well-appointed kitchens, full-size washers and dryers, Roman-style bathtubs, and walk-in closets. Many homes have direct access, and a one or two-car garage. Claremont residents enjoy a 6,100 sq. 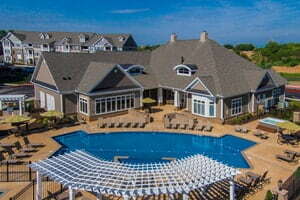 ft. clubhouse with the country club features to meet today’s active lifestyle needs. Relax in the pool, work out in the fitness center, or socialize with friends and neighbors in the expansive great room. Pitching and putting greens, tennis court, multi-purpose court, and tot lots provide additional recreational opportunities for the whole family. Claremont at Carriage Hill set the precedent for condo conversions in the area, with first-year sales exceeding expectations. Transforming a popular 164 unit luxury apartment community into privately owned condominiums was a market driven decision that once again put Cathcart at the forefront of real estate developers in the area. 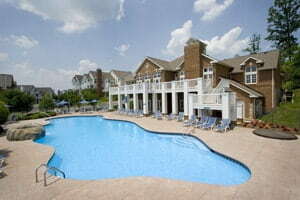 Devonshire, located in between Charleston and Huntington, is the largest resort-style community in the Charleston, Teays Valley area. The community’s focal point is The Devonshire Club, a 6,700 square foot clubhouse that includes: a state-of-the-art fitness center, club room, wide screen movie theater, business center, billiards parlor, relaxation area, resort style pool, hot tub, multi-purpose court and tot lot. New Phase II Now Open! The Reserve at Stone Port is a luxury apartment community strategically located in the growing Stone Port neighborhood of Harrisonburg, Virginia. 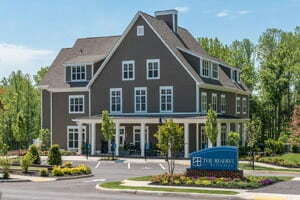 Located minutes from downtown Harrisonburg, James Madison University, and across he street from the new Sentara Rockingham Memorial Hospital, The Reserve at Stone Port has it all. Just off Port Republic Road.